Your dream smile is within reach at Aggieland Dental Associates. Let Drs. Ken and Roxane Spence, cosmetic dentists in College Station, Texas, give you the breathtaking look you've always wanted! Cosmetic dentistry can dramatically improve your appearance, giving you straight, uniform and bright-looking teeth. Patients usually find that this physical boost heightens their confidence, making a huge difference in how they interact with people at home, social events and work. This is what most people have in mind when they opt for cosmetic procedures. 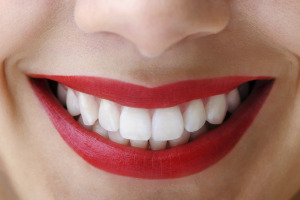 Cosmetic dentistry offers a host of advantages for your oral and general health, too. For instance, a dental implant can prevent the bone in your jaw from shrinking and giving you a sunken look, while a crown (cap) can provide additional strength for the underlying tooth. Cosmetic dentistry can also affect your overall wellbeing in profound ways by improving your self-confidence. In fact, one of the greatest honors we receive is when a cosmetic dentistry patient returns to us and tells us they had no idea how much a better smile could improve their lives. At Aggieland Dental Associates, it's not enough that your cosmetic dental work looks natural and attractive when it's done. We want it to last too. To achieve this goal, we make it a point to listen to our patients, treat them like individuals and make them feel like part of our family right from the start. When we assess you for care, we pay close attention to your gum health, bone density and tooth structure, as well. This degree of thoroughness and detail lets Drs. Ken and Roxane Spence determine exactly what services are a good fit for you. It also allows us to head off potential problems and keep you safe through every cosmetic procedure. • Want a whiter, more radiant smile. • Have teeth that are misaligned or not the same size or shape. • Have teeth that are missing or badly damaged from decay, trauma or disease. • Are having trouble with regular speech or chewing. • Have teeth that are overcrowded or have gaps. • Are embarrassed about their smile. • Have extremely worn teeth. • Have one or more teeth with chips, cracks or breaks. If one or more of these points is true for you, it's time to make an appointment for cosmetic dental services in College Station, Texas at Aggieland Dental Associates! Drs. Ken and Roxane Spence want to enhance your natural beauty with comprehensive cosmetic dental treatment. With no two patients having the exact same goals or physical needs, they are pleased to provide a comprehensive range of cosmetic services through their practice to meet this objective. You can explore great options such as porcelain veneers, crowns, fixed bridges, inlays, onlays, tooth whitening (including take-home systems for convenient self-touchups) and composite fillings. Chairside Economical Restoration of Esthetic Ceramics (CEREC) technology is available for many procedures and, in some cases, lets you get results in a single visit. Are You Ready for a Brilliant Smile? If you're considering cosmetic dentistry in College Station, Texas, contact Aggieland Dental Associates today at (979) 696-4511. A member of our team happily will schedule your appointment! You also have the option of using our appointment request form at any time.